Electric scooters are not only becoming a popular mode of transport for short commutes, but they are a fun gift for the kids, too! Offering energy efficient, easy travel - what’s not to love? From larger, quality builds for adults to fun, lightweight models for kids, there are tons of electric scooters out there - but choosing the right one can give you a headache. Not anymore! We have put together this electric scooter shopping guides full of tips and advice to help you pick the best electric scooter for you. Standard Electric Scooters: Your basic electric scooters are light, portable and easy to ride. Offering good value for money, these are the perfect scooters for kids and beginners alike. Foldable Electric Scooters: Electric scooters that fold make storing much easier! 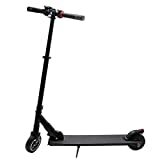 Whether for easy storage at the office or for parents who want to keep their kids rides neatly out of sight when not in use, foldable scooters offer a convenient solution for storage and easy carrying. Three Wheeled Electric Scooters: These electric scooters have a second rear wheel, offering three wheels in total and providing riders with a lot more stability. A safer option for kids, three wheeled electric scooters are a popular choice for parents. Seated Electric Scooters: Seated electric scooters not only add extra stability but offer riders more comfort for longer distances. Most of their seats are full adjustable and removeable, giving many more riding options. Battery Life: Electric scooters that offer wider ranges (and go longer between charges) are well rated by reviewers. To make sure the range is suited for your needs, choose a range in relation to how frequent you will ride your scooter and at what distances. Maintenance: Owners of electric scooters that are easy to maintain are much more satisfied with their purchases. Scooters that require as little battery charging and oiling as possible mean less hassle for their owners. Stability: Stability is a top concern for scooter owners who rate scooters with a stable ride at top speeds much higher than ones that don’t offer the same safety. This is particularly a concern for parents who have bought electric scooters for their children, and choosing a top quality brand will afford you the same peace of mind. Build: Scooters that offer optional, adjustable seating are the highest ranked scooters online. They are also ranked on their weight, with reviewers noting that the lighter the scooter is, the easier it is to commute with and carry when needed. Who will be riding the scooter? Each electric scooter has a maximum allowable weight, with kids scooters offering a lower threshold than adult scooters. It is advised to stick to weight restrictions to not only ensure comfortable rides but also the longevity of the scooter. 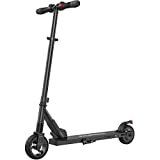 The range of a scooter refers to how long it can ride before the battery will need to be recharged. The range you need will be based on the distances you plan on riding with the scooter. For children riding around the house, a 6 mile range will ensure hours of fun. For adults using their electric scooter for commuting, look for a scooter with a range of up to 10 - 15 miles. How lightweight do you need the scooter to be? Thick-plate scooter builds are durable while thin-plate builds will ensure a much lighter, easier to carry scooter. Charging time is an important consideration and will vary from model to model. On average, a scooter will take 40 minutes to be fully recharged but expect longer times for larger models. How fast do you need it to go? For children, aim for scooters that are 120 watts with a top speed of 10 miles per hour. For adults, a faster scooter may be needed. Bear in mind that often the faster the scooter travels, the shorter the range will be. Electric scooters will either have chain drives or belt drives. Chain drives offer scooter buyers more durability while belt drives offer a much quieter ride, so choosing between them will be based on personal preference and budget needs. 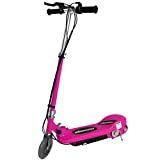 If you are wanting to buy an electric scooter for the children in your life, opt for a build with a metal frame to withstand some wear and tear but that has plastic parts to cover sharp edges, and slower speed ranges. Razor: Razor formed in 2000 with the aim of combining cutting-edge technology and high quality materials to suit riders’ lifestyles. They have quickly become an icon and are known for their quality electric scooters. 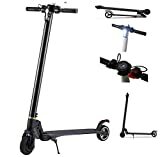 Super Cycles & Scooters: Super Cycles & Scooters LLC’s goal is to provide users with quality yet affordable electric scooters and they offer a wide range of products to meet all needs. Pulse Performance Products: Started in 2007, Pulse Performance Products™ (PPP) are among the electric scooter market leaders, taking pride in their designing testing to bring top rated scooters to consumers.